Back and neck pain can affect every aspect of daily life. From impeding your performance at work, to limiting your ability to enjoy your hobbies, to stopping you from getting a good night’s sleep; the effect on your life can be tremendous. Patients may not realize that chiropractic care is actually safer that the risks associated with common OTC NSAIDS, such as aspirin, ibuprofen or naproxen. In a study by the American journal of Gastroenterology, an estimated 33% of hospitalizations and gastrointestinal bleeding fatalities are directly linked to the use of aspirin or NSAID drugs. Prescription painkillers can leave you feeling drowsy and befuddled. If you’re looking for a natural, drug-free solution for your chronic back and neck pain, you should consider seeing a Denver chiropractor. Easily recognized as one of the most successful non-invasive treatment therapies in neuromusculoskeletal conditions, spinal manipulation has a very small risk factor and is remarkably safe. Chiropractic is an established and respected field of medical practice which focuses on the spine. Most chiropractic practice involves spinal manipulation, a corrective technique of manipulating the vertebrae past their normal range of motion. This has been proven to be effective in treating acute back pain and other musculoskeletal pain. The most common form of chiropractic is spinal manipulation, or what is termed as chiropractic adjustment. The goal is to manually restore full joint mobility by the application of a controlled force to joints. When vertebrae have become misaligned, pressure can be placed on the spinal nerves causing pain and restriction, inflammation, and a diminished function for the patient. Our chiropractors in Denver can also help you achieve better posture, prescribe beneficial exercises, and make preventative ergonomic recommendations. All of our Denver chiropractic doctors are highly skilled and certified in spinal decompression therapy. They are dedicated to helping you manage and alleviate your acute pain and return to your normal and productive life. Chiropractic isn’t just for back and neck pain. It has also shown to be effective in treating chronic headaches and migraines. A few chiropractic sessions might relieve your headaches naturally, without harsh drugs. 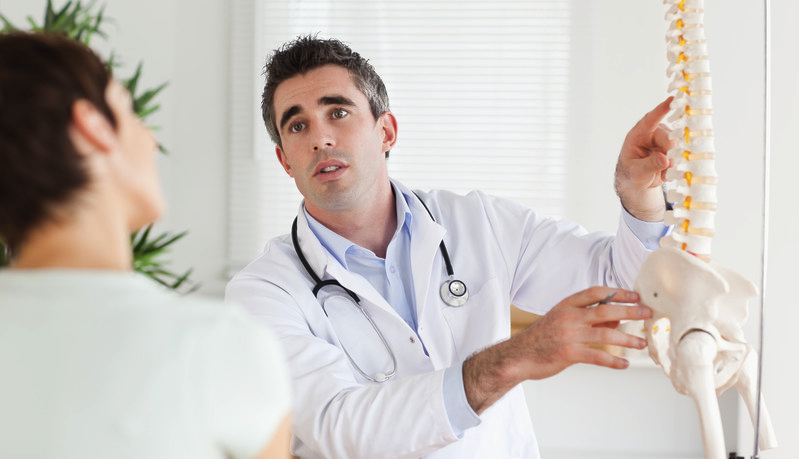 Chiropractors have also had success in treating joint issues like bursitis and arthritis. Chiropractic can relieve the pain of these ailments at the source, without simply numbing the pain with drugs. We also recommend seeing a chiropractor after experiencing whiplash or other minor spinal trauma. It can reduce your chances of developing more serious spinal issues during your recovery. Even asthma can be treated by chiropractic means. Though it is not directly related to the spine, multiple medical studies have confirmed the efficacy of chiropractic therapy in alleviating asthma symptoms. Our chiropractors are highly skilled and experienced in the area of pain relief and long-term care. As part of a complete course of medical treatment, chiropractic can help promote healing, alleviate pain, and get back to your life sooner with fewer side effects and risks compared to pharmaceutical and invasive options. Colorado Pain offers the top Denver chiropractors along with Board Certified pain management doctors. Call (720) 306-9575 for more information and scheduling!